On a hot morning in May, Wilson Kemei stands with an old Soviet rifle in his hands, ready to protect the hundreds of people taking refuge in a tiny, makeshift camp in Baringo county. They have fled there after gunmen shot and killed their neighbours in January. Six years ago, Kemei was recruited to the Kenya Police Reserve (KPR), a ragtag militia whose members wear mismatching uniform – a camouflage jacket here, green army trousers there, with toes poking out of rubber sandals. They receive as little as a single day of training before being handed a gun, weapons like the wooden-stock SKS rifle clutched by Kemei. The reservists are tasked with carrying out the work that Kenya’s police and armed forces have been unable to do: fighting off armed bandits who are terrorising Baringo county and other parts of central Kenya as they steal livestock and shoot anyone who gets in their way. Read the full story at The Guardian. See photos by Will Swanson. Once you’ve read about the problem, check out the solution: Seeds of Green: As drought kills Kenya’s livestock, some herders are fighting hunger by growing their own grass. By Anthony Langat and me for U.S. News & World Report. Waiting to Walk … Out. Kenya has become a safe haven for scores of refugees fleeing war and famine in neighbouring states. But that sense of sanctuary doesn’t always stand true if you’re young, vulnerable and gay. In secret hideaways and temporary homes, LGBT refugees are being forced yet again to hide their true selves, instead of walking out into the world with pride. 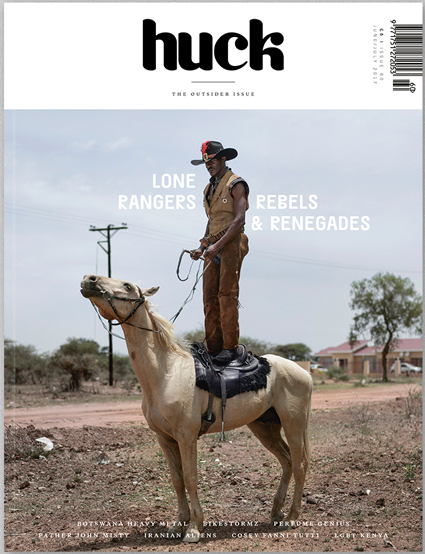 Read the full feature story and see the photography by Jake Naughton in HUCK #60: The Outsider Issue, or online. An emerging science is helping Kenyans make smarter decisions about bargaining, sanitation and more. The facilitator pretends to go to the bathroom behind a tree, then wipes using a thin leaf or piece of paper. But the leaf or paper rips, and she reacts with surprise upon getting (imaginary) feces on her hand. But she doesn’t wash her hands. Instead she wipes them on her clothes, then goes to shake the hand of one of the students, or picks up a mandazi – a doughnut – and offers it to a student to eat. The students recoil in disgust, and the facilitator’s work is done: She has just implanted a “disgust trigger” into the kids’ brains – a simple, but powerful psychological reminder that forgetting to wash your hands is gross. And it works. Welcome to behavioral psychology, the emerging science that seeks to nudge people to make smarter decisions. Read the full story at U.S. News & World Report. NAIVASHA, Kenya — Nancy Ndirango grimaced in pain as she waited eight hours at a hospital here with a broken right leg, the result of a fall on her way to school. But there was no doctor to see her because they are on strike. 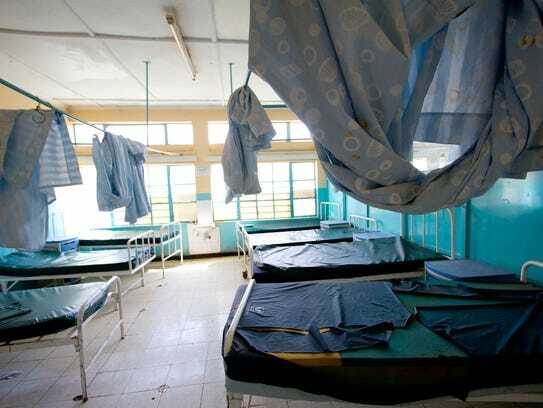 Ndirango’s plight at the eerily empty hospital in this town, about 50 miles north of the capital, Nairobi, is being felt by millions of Kenyans as a national strike by 5,000 public-sector doctors demanding better pay and work conditions enters its fourth month. They walked off the job Dec. 5 to protest the government’s failure to make good on a 2013 agreement to double salaries and hire thousands of new doctors to fill a severe shortage of physicians. “Sadly it’s the lower class that’s suffering,”said Judy Karagania, a resident in opthalmology at Nairobi’s largest public hospital. Sometimes, overcrowding in Kenya’s underfunded public hospitals can be a matter of life or death. One month after Al Jazeera published the story of Dorcas Kiteng’e’s struggle for cancer treatment in a nation whose doctors are on strike, the 25-year-old has died due to lack of proper care. Some 5,000 public sector doctors walked out on December 5 after Kenya’s leaders failed to make good on a 2013 agreement to raise salaries, hire new physicians and improve conditions in public hospitals. The standoff between the health ministry, which lost $53 million last year due to corruption, and the doctors, continues to drag on. Nobody knows how many hundreds or thousands of Kenyans have died as a result of the government’s refusal to pay and the doctors’ refusal to return to work until that happens. This is the story of one of those victims – the final days in the life of Dorcas Kiteng’e. Read the article at Al Jazeera. Young people across the continent aspire to careers in Africa’s blossoming information and communications technology (ICT) sector. But many encounter major barriers that prevent them from finding jobs in the industry. “We have a lot of young people. 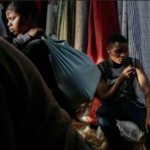 But unfortunately they come from neighborhoods that don’t have a lot of opportunities,” says Tim Nderi, the chief executive officer of Mawingu Networks. Read the full feature story in the Special 2017 Edition of Africa Renewal Magazine and read the sidebar, “Teaching Africa’s Young Techies,” which features the Moringa School in Nairobi. Kenya’s hospitals have almost ground to a halt, with millions facing a third month in a row without healthcare as doctors strike over low pay and poor working conditions. The public healthcare system has long been overburdened and underfunded, but has now virtually stopped functioning after 5,000 doctors walk out in December after attempts to reach a compromise with the health ministry stalled. “The machines break down frequently, the doctors are overwhelmed. The patients, they are so many that they are lying on the ground,” said Dr Judy Karagania, an ophthalmology resident at Kenyatta National hospital (KNH) in Nairobi, who is taking part in the industrial action. Karagania and her colleagues are refusing to return to work until the government makes good on a 2013 agreement to dramatically increase salaries, hire thousands of new doctors and address drug and equipment shortages. As the standoff drags on, Kenyans are suffering from the lack of care. 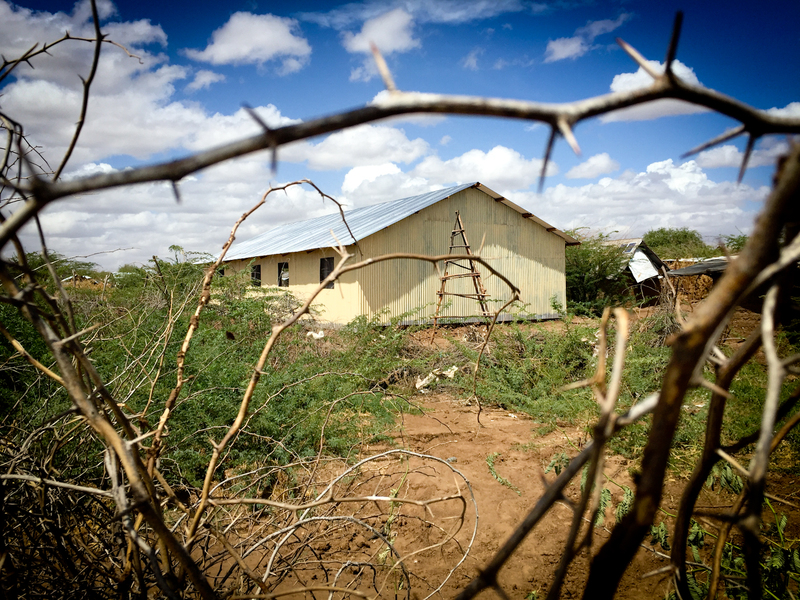 At Kakuma refugee camp in Kenya, workers face few humane options. From Turkey to Pakistan, from Iran to Ethiopia, refugee workers are being forced to make painful choices regarding the future of more than 21 million refugees, part of a record 65 million displaced persons around the world. They must choose between political and economic refugees, individuals and families, the healthy and the sick, the elderly and unaccompanied children, gay and straight. They try to move those most in need of help to the front of the line for resettlement somewhere safe. But when it comes to triaging the world’s humanitarian crises, there are few humane choices. 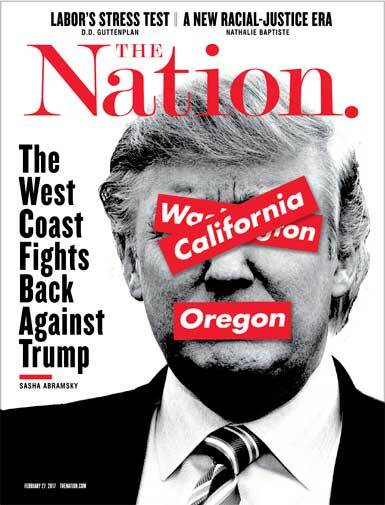 Read the full feature article in the February 27, 2017 edition of The Nation magazine or online. Kijabe, Kenya – At the bottom of a winding, tree-lined road, a crowd of patients spills out of the entrance of a private hospital waiting room on to a patio and a dirt parking lot. It begins to rain, and a man on crutches tries to hobble into the cramped building for cover. 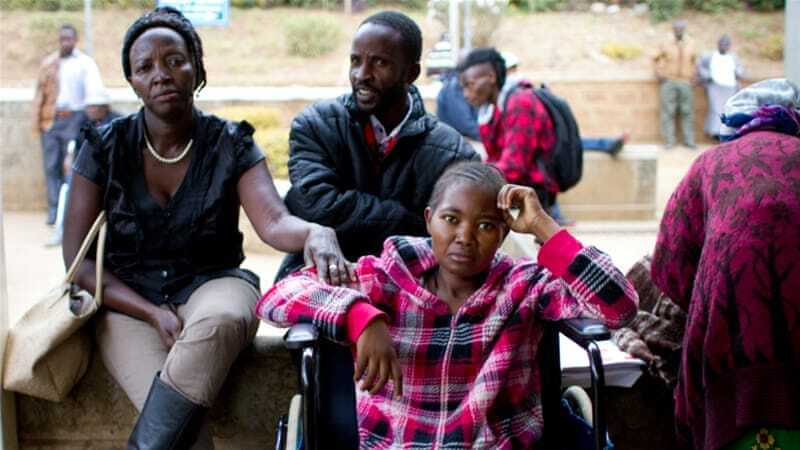 Sitting in a wheelchair outside the door is Dorcas Kiteng’e, a 25-year-old woman suffering from cancerous growths in her ovaries. Kijabe is the third hospital they’ve visited since they arrived in the Kenyan capital Nairobi last week, looking for an oncologist who could perform the surgery, only to be turned away. 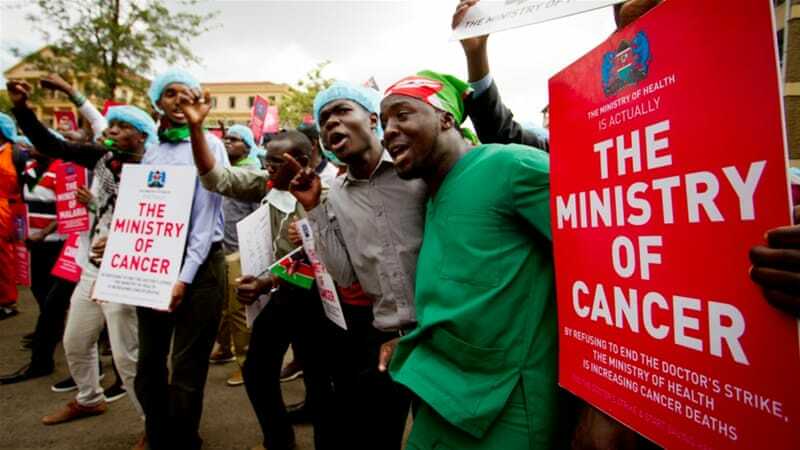 Two months ago Kenya’s public sector doctors walked out on strike, and millions of Kenyans who normally depend on them are beginning to overwhelm the nation’s private hospitals, particularly in rural areas. Read the full article at Al Jazeera. In 1992, the U.N. formally recognized Kakuma as a refugee camp — a temporary shelter. 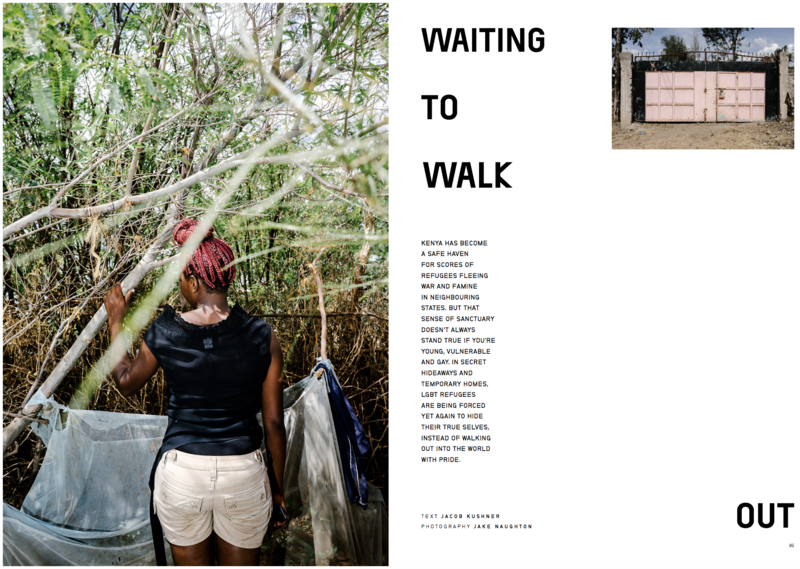 A quarter-century later, Kakuma hosts more than 150,000 refugees — victims of all manner of East African calamities, from Ugandan homophobia to political unrest in Burundi. Presently, it is filling up once again with people fleeing civil war in South Sudan. Long befo re the Syrian civil war, before millions of people began fleeing to camps in Turkey, Jordan, and elsewhere in search of safety, Kakuma was something of an icon in the global refugee crisis. Today, it stands as a solemn reminder of the permanence of humanity’s displaced masses. 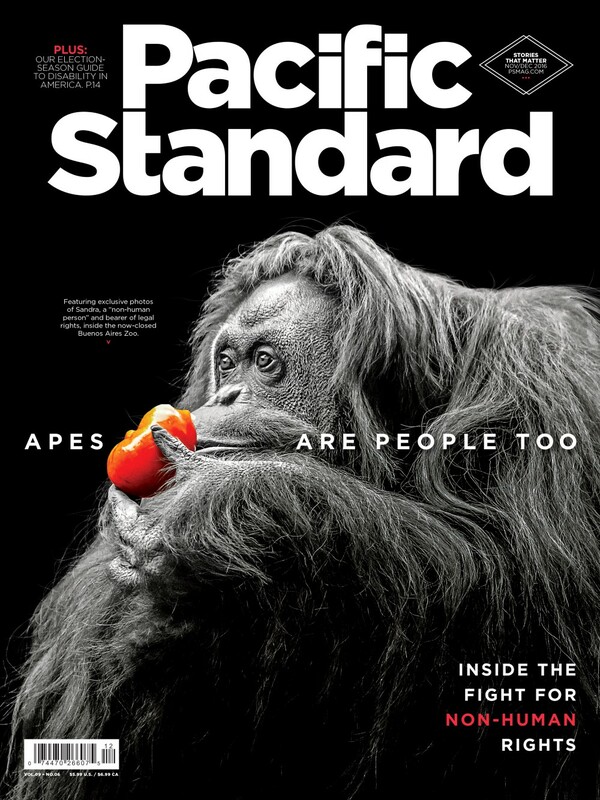 Read the full story, Permanent Displacement, as it appeared in the November/December issue of Pacific Standard.